← Angry at Atheists, but Why? It was the T-Shirt. For those of you who do not subscribe to the Columbia Missourian or missed Thursday’s commentary, here it is. Reprinted with permission. George Kennedy’s April 26 Missourian column was pointed and direct but asked the wrong question. The column — titled “Is Sen. Schaefer playing politics or policy?” — is an excellent analysis of mid-Missouri’s up-and-coming Sen. Kurt Schaefer. Mr. Kennedy is also more prudent than I am. Or our myopias don’t match. Considering the lack of maturity of Sen. Kurt Schaefer’s recent antics and Republicans’ recent “loss of memory” that they voted for sequestration, should the question not have included “juvenile and conspiratorial”? To earn his conservative merit badges, Schaefer brought into play the NRA and its well-financed political puppets’ argument: ANY move to limit the access of firearms, except to criminals and the mentally ill, WILL lead to the mass disarming of the American public. It is the Greatest of Slippery Slope Conspiracies. One thing about most conspiracy theories is that they usually involve massive and complicated plans, involving tens of thousands of people to carry out. They just cannot succeed. Conspiracies that have succeeded are closed to a small group and relatively simple: Lincoln’s assassination, the Oklahoma City bombing, both attacks on the World Trade Center, the Boston Marathon bombing and the raid killing Osama bin Laden come to mind. 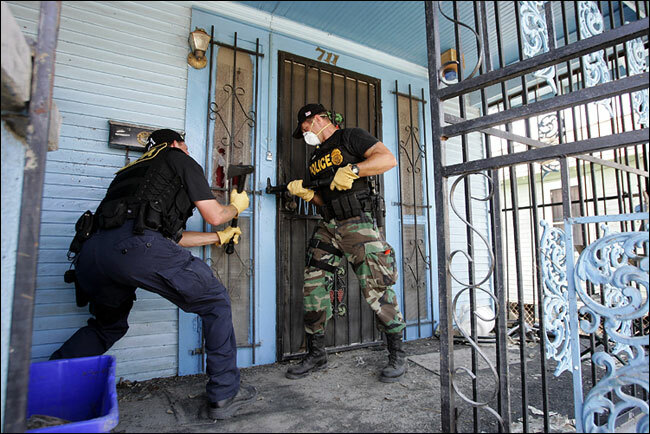 The complete confiscation of our firearms by the state would require a massive and complicated nationwide operation. Amassing troops to enter every American home, shelter and grotto, the buildup of the Navy and Coast Guard to block all waterways preventing smuggling, and engaging every local, state and federal law enforcement officer, all in secret, for a coordinated confiscation effort at exactly 4 a.m. EDT is simply impossible. Even a list of the mentally ill would violate the sanctity of privacy demanded by the GOP. Most drugs for depression, anxiety, paranoia, etc. are prescribed by a medical doctor and any disclosure would be a violation of HIPAA, which safeguards the privacy of your medical records. How? Wouldn’t such a list then expose all of YOUR medical records to government scrutiny? Another conspiracy? Maybe, but it is more plausible than troops assembling across the Mississippi waiting orders to invade. Even Congress’ move permitting the FAA to move funds internally as to not furlough controllers was based on another unwarranted conspiracy and juvenile pretense — the unsubstantiated belief that the White House and congressional Democrats conspired to have the FAA delay flights as a political move. Really? Nationally, sequestration, the Budget Control Act of 2011, had congressional bipartisan and White House support to force Congress to actually do something about the national debt. Certainly Missouri Sens. Roy Blunt and Claire McCaskill, and six of our then eight representatives, thought so. Now the GOP wants to renege on its own promise to the American citizens, exacerbating the irrational distrust of government to score political points and make friends with those who voted blue in 2012. It’s another case of “I just want you to like me” whiny, insecure teenagers. Schaefer also supported and introduced several bills that would nullify federal law and international treaties. Schaefer is an attorney and should understand this is a violation of the very Constitution he swore to defend. George Kennedy rightly stated that this “option, you may recall, was tried a while back. I would have thought the Civil War settled the issue.” Mr. Kennedy and I are obviously mistaken. This is more than political and juvenile playground tactics. It is right-wing politicians, seeking anarchy through legislation, believing American citizens are stupid enough to believe their lies, conspiracies and misdirection: that right wing conservatives (extreme libertarians) really support the Constitution. Bah! Yes, another conspiracy. At least I admit it. Someone asked if I was thinking of running for a political office in 2014. Not now (but I do need a job). Would rural and conservative Missouri residents vote for an outspoken liberal atheist who is willing to call out deception and stupidity when he sees it? I believe so; after all, Missouri residents are intelligent, fair and want adult political leadership, not querulous children. David Rosman is an editor, writer, professional speaker and college instructor in communications, ethics, business and politics. He will be a guest panelist on KBIA’s “Intersection” talking about gun issues 2 p.m. Monday. Questions? Contact opinion editor Elizabeth Conner. This entry was posted in Conservatives, Conspiracy Theories, Constitution, Democrats, Gun Control, Liberals, Missouri, National, Politics, politics, Republicans and tagged Conservatives, Conspiracy, Conspiracy Theory, Democrats, Ethics, Gun Control, Guns, HIPPA, Kurt Schaefer, medical records, mentally ill, Republicans, Schaefer, Second Amendment, Tea Party. Bookmark the permalink.